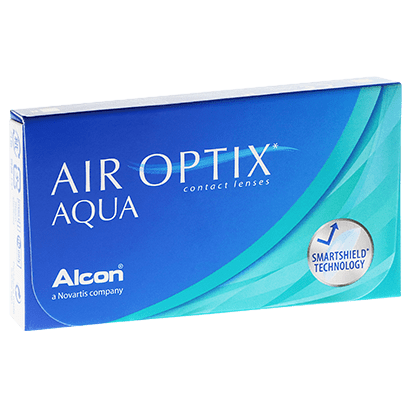 Created by manufacturers Alcon & Ciba Vision, Air Optix Aqua are highly breathable monthly contact lenses, renowned for their exceptional level of comfort. Air Optix Aqua have been made from silicone hydrogel, creating a slim and lightweight lens, with a barely noticeable presence on your eyes. Allowing eyes to enjoy up to five times the amount of oxygen as other soft contacts, these are some of the most breathable contact lenses around. Coupled with the 33% water content, this feature makes the lenses highly comfortable to wear, keeping eyes safe from dehydration and preventing the onset of dry eyes as the day goes on. Easy to put in, and to take out, these impressive lenses can be worn daily for up to a month, as long as a nightly cleaning and storing routine is followed. Using a multi-purpose solution such as comfi All-in-One Solution ensures consistently clean lenses when you come to putting them in every morning, while the protein-resistant material of the lens itself makes the chance of picking up any dirt or irritants over the day minimal. Extended wear can also be a wearing option for your lenses, provided this is approved by your optician. In this case, you’d be able to wear your Air Optix Aqua contact lenses continuously, both day and night, for up to a week, without needing to remove them. Once again, however, you'll need to confirm with your optician that your eyes are suited to sleeping in your lenses. 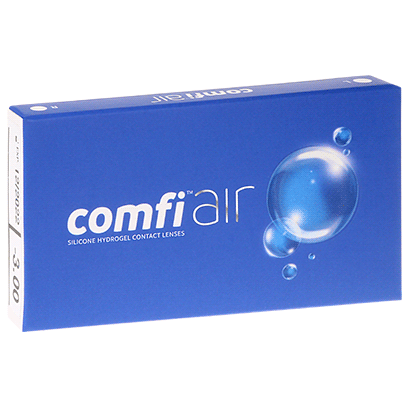 Air Optix Plus Hydraglyde, Biofinity and comfi Air are similar monthly contacts. These lenses work well for me. Great lenses, as I have come to expect. I have worn these lenses for years and never had a single problem, comfy and never had one tear. Good product but can tear quite easily. The most transparent and comfortable lenses in the world - I am buying them for 5 years now and I never had a complaint. Have used for years! Happy! Great product , I have been using the same brand for years and I have not had any problems. good quality - never had a lens rip on me which used to happen frequently with other brands. I am disappointed with this product as I have always used them before from high street opticians with no problems but from you they are uncomfortable and I dont understand why as they are the same make. Very comfortable lens even for my problem with dry eyes. Express delivery and good prices. Air optix is the best brand out there. Love these lenses. Been using them for over 15years now. Excellent product does what it says on the box. Great lenses, very comfortable, not to thin not to thick. My eyes are not getting dry. Very comfortable lenses to wear. Have been using for years and years on monthly changes and my eyes are very healthy. Used this product for six years and feel confident using it. Comfort wearing & good vision, high oxygen for longer wear time! it is great price, comfort and durable. i really like this brand, it has a clear vision, easy to wear, easy to clean. perfect. this is no.1 brand for me at the moment. Air Optix are comfortable and durable, and a good price. I always re-order these, i tried other ones contact lenses but i come straight back to these. They're great! 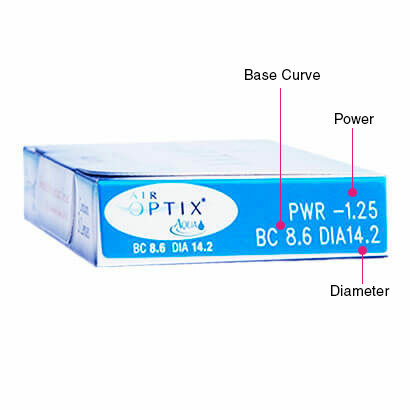 Quick delivery, good price, comfortable lenses. Wow absolutely brilliant ordered on Tuesday evening and they were here early Wednesday morning. Excellent contact lenses highly recommend them really comfortable all day today. Good quality lenses that perform well in all conditions. Reasonably priced, would purchase again. Good quality lence. I bought first time but I''m gonna always buy from here now. Very good quality lenses.exactly the same as I have previously purchased from the opticians. I buy airoptix lenses for a few years, but this time i was not pleased. They didnt feel as comfortable as before. Been wearing these for quite a few years from Tesco opticians. They have now closed. .went online and saw this company £5 cheaper than l was paying and delivery was really quick... very happy with service..
Do me just fine and have done for years. First time wearing this contact lens and I''m happy with the product but after 7 hours I feel my eye a bit dry. Extremely comfortable lenses for my dry eyes! Normally have to remove contacts as soon as I return from work as uncomfortable but can wear these well into the evening!! Can''t fault it,10/10 for ease,quality and service. Reasonably priced, excellent quality, great service. I would like to recommend. I am very happy, they posted just they promised. And a little surprise in my box!! That was very very kind!!!! Always fast delivery and amazing prices! good vision but very uncomfortable for my eyes. At first I thought I may have hay feaver because my eyes started to burn up but tried some other lances I''ve had left over and my eyes felt fine. Tried different cleaning solution thinking it might improve but unfortunately it didn''t... not good for my eyes. Good as expected. Better than other products I have tried. Can use them for decent length of time and they remind comfortable. Fantastic lenses, don’t dry up like others I’ve tried in the past. These are all I use now! One of the most comfortable contact lenses I''ve ever wear, good price for excellent quality, highly recommend. Worn them for years,no problems. Very comfortable lenses, not been used to wearing them for so long due to other brands been less comfortable and having to change into my glasses half way through the day!! Arrived as stated very impressed will continue to use this company. These lenses were recommended by the optimetrist in the office I worked foe years ago, and they are so comfortable (and breathe well) I never changed to another brand. The wear time definitely depends on the enviroment - dry, dirt, dust, allergy season, etc. On average a pair lasts get 3, sometimes 4 weeks - with daily cleaning and removal at night. (Day time wear around 8-10 hrs.) I would say they are fairly durable too. I don''t have them tear often. Overall great brand. Excellent service from Feel Good Contacts. Exactly the same product as from Boots etc. but cheaper and very quick delivery. What more could you want? Used these monthlies for years, very comfortable worn for extended periods of time. First time using this company. Great product, Fast service, no problems, no complaints. Tried many brands in the past but these have been the best so far if you suffer from dry eyes , their comfortable to wear and dont dry out as much as other brands. The silicone material is of good quality and have never known one to ever tear. Theses contact lenses are brilliant, I used to use a daily one but find these are more comfortable to wear for long periods. Excellent quick service and great price. They''re very comfortable over persistent wear. Great product , been using them for years and not had any problems . I''ve worn them for 3 months and they''re one of the most comfortable lenses. I can wear the all day or even longer without any discomfort. I highly recommend them to everyone. Never hadid a problem with these lenses ...I would recommend these to contact users. These are much nicer than my old contacts, my eyes go far longer without feeling dry. The only reason I rate 4 stars and not 5 is that I do find them a little bigger and therefore slightly harder to get in. Good quality contacts, comfortable to wear it. Amazing! Delivery was really fast. And I found jellies in my parcel ?. Just perfect! Extremely comfortable to wear. Have used for 3 years plus now and will continue to do so. Greta products, great service, thank you very much! Just Perfect. Time Perfect. The lenses were perfect. What could I have asked more ? Easy to put in comfortable and able to wear all day with no discomfort or dryness. Comfy although I take them out nightly. Excellent product! Highly recommend to everyone who wants comfort and freedom for their eyes. Rubbish, feelgood contact lenses web page is a joke and your webpage is no better! Great lenses almost forget I''m wearing them. Prompt delivery and no problems, reliable company highly recommend them, with expert advice if needed from professionals. Worn many lenses over many years. These lenses have been the most comfortable. They are thin without being too fragile. The lenses breathe nicely and do not seem to get build up on them too quickly. Listen i''ve tried many hard and soft CL''s over the years, but this brand of soft lenses are the best ever. Some may choose cheaper but that is to the detriment of your eyes. Air-Optix are highly breathable, soft and safe. Think about it - it''s the health of your eyes that we''re talking about. Buy these and, like me, you will never look back. Brilliant contact lenses always feel comfortable and are easy to get in and out of your eyes, I would defiantly recommend these lenses to my friends and family. Well & truly comfortable to wear. Not happy with these ones.It looks like are wrong power. I have just started to wear contact lenses.Very comfortable, well recommended. Love these contacts. I''ve been using this brand for 15 years and wouldn''t trust my eyes to anyone else! I''m very happy with purchase. Definitely it''s not my last order in this shop. Worn for years! Lovely and comfortable! Great contacts at a really reasonable price. Fast efficient service very competitive pricing. Recommend this company to all users of contact lenses, great variety and choice never had such a quick delivery, the only drawback is paying for postage! I have been wearing these lenses for many years and they are so comfortable. I have just the right prescription which gives me really good long distance plus I can still read without the use of glasses. My optician advised I had to change lenses as they couldn''t supply these anymore however I now buy them direct from Feel Good Contact Lenses and they have been delivered direct my home without any problems. I feel as though I am not wearing contact lenses, good vision and comfortable. Very comfortable lense and easy to use. These arrived within 18hrs of ordering- easy process to order- would recommend. Excellent service, have been using this site now for a good few years - great price and quick delivery. Good quality lenses that always deliver. Best contact lense brand, would definitely recommend them to anyone. I can''t feel them when wearing them, I leave them in over night sometimes which causes no problem whatsoever. Using that same brand since I first started wearing contact lenses (over 10 years ago) and recently had an eye test which said my eyes are perfectly healthy, no dryness anywhere, and that''s with leaving them in for a few days and nights at a time sometimes! Excellent service, fast delivery. Will order again! Lenses very good value for money, very comfortable to wear and very good quality, I would recommend these lenses. Perfection! ?????????? all the way. The monthly contact lenses are comfortable to wear. Very comfortable lenses. I have been wearing them few years now. Comfortable. Just what I was looking for. Comfortable lenses, do not dry out and easily maintained. Great contact lenses, good price, comfortable, easy to put in, been using this make for four years and not had any problems with them. Really great lenses. Good quality lenses that don''t fold or crumple like some of the cheaper lenses. Stay hydrated longer than most lenses so enable them to worn all day long. Would definitely recommend. Very good lens. I have been using for few years. Good quality-breathable contact lenses provides an ideal combination of OXYGEN and MOISTURE to offer a whole new level of comfort all day, everyday for a healthy, natural feeling. Don''t dry out my eyes. Very comfortable to wear for long days. I wear these lenses every day for about 12 hours and I find them comfortable. Have used these lenses for four years now and not had any problems with them. They are even comfortable when occasionally left in overnight. Won''t be changing anytime soon! good, reliable lenses. quick delivery. worth buying, not making your eyes dry,. Good product quality. I will order again. 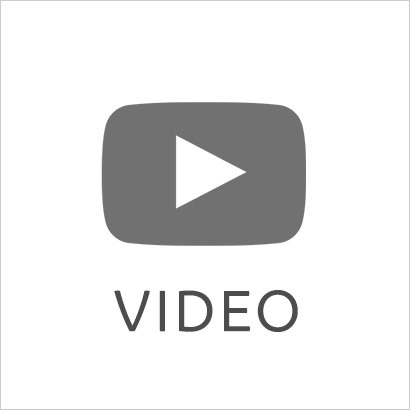 Comfortable and good visual quality. Quality product that I used to pay twice as much for from my opticians on a monthly contract. Very good quality and you can wear them all day, it wont hurt your eyes. Great product. Used for several years and can''t fault. Comfortable and durable lenses. Still the best! Really good quality and comfy. Very comfortable, even for my dry eyes. Great vision and I can wear these from morning til late at night with little irritation. I am wearing my contact lenses every day few years and I am absolutely happy. Fantastic product and great service. Ok lenses but much thicker than I''m used to and clear, so don''t drop them! I find these contact lenses very comfortable to wear and they are nice and soft so easy to insert. Feel good contacts are the best! love these lenses, very comfortable. Very fast delivery. Item were packaged well . Love it! Great wear, will buy again! Bretheable, moisturised all day, comfortable lenses. Quick delivery and nice customer service. I am really happy with this company. Excellent contact lenses, no problems with them at all. Always keep my eyes hydrated, not drying like other contact lenses. I have worn these for 3 years now and have not had any rip yet! I have been using these for many years. I have quite dry eyes so these were recommended by my optician. I think that the moist quality of the lenses does fade fairly quickly but they are much better than other lenses I have tried and are a decent price for someone like me with a high prescription, monthly wear, dry eyes and the need to wear lenses all day. Buy these without any reservations! Comfortable and easy in the ey, great alternative to specsaver a plan. These lenses are great. Very clear vision and very comfortable to wear. Highly recommended. Great product, very fast delivery, cheapest price online! I would certainly recommend this company.Exceptional service. A good product that I would recommend. Just the same quality as the high street but at a more affordable price. Quick deliveries. Very good quality lenses my son and daughter both use them. Great product at a reasonable price and quick delivery. Have used these lenses for a few years now and never had any problems. These lenses are perfect, can see really well long distance and very comfortable for reading as well. Have tried several different pairs from optician recently but nothing compares to these. Comfortable and easy to wear all day long. I have used Air Optix Aqua monthly'' for six years and I have been very satisfied with their quality and performance. Great product, soft on the eyes and last the whole month! Very happy no problems with these lenses. Will defo order these again. They work well, cheaper than other brands, why not? For me perfect, I will buy them again. Great lenses if you like monthly''s. I have very little problems with dry eyes at the end of the day. Also these lenses are not too thin and flimsy so they don''t cause problems by folding over if you rub your eyes. Really comfortable lenses, they allow the utmost amount of oxygen to the eye. Unlike other lens brands, these don''t cost the earth and enable lots of oxygen in for healthier eyes. Just great. Excellent quality for low price. fab design, good material, easy wearing. I''ve used these lenses for a few years now. I''ve had no problems with them. This is a great product for extended wear. There is little official advice in the public domain regarding extended wear but I have used this product for quite sometime, leaving my lens''s in for up to 7 days without any adverse effects. I have an eye check up every year and have no issues! Brilliant. Superb. Light- I almost forget I am wearing them. Good stuff. First time using. Comfortable and light on the eyes. I love these contact lenses. They allow me to wear them all day with no problems. It just feels as though I don''t have them in. This company (Fee Good) is excellent, ordered one day and delivered the next. Cannot fault them. I''m using air optix contact lensses 4 years and they are great! Best choice of contact lenses, never had problem with them, always guaranteed comfort. i changed to these from daily disposable. They fit better, are very comfortable and much easier to insert and remove. Really happy with the service, first time I have used this company and it excels! Love these contacts, my eyes dry out easily but these were superb, really comfortable to wear and easy to put in. Excellent lenses, they are sturdy while being soft. The blue tint makes them easy to see. Very happy with the product - comfortable to wear - just great! My regular purchase - suit my needs perfectly! Excellent lenses top class product 5 Stars! Very good contact lenses I''m happy with that. Really good price and quick delivery. I have been using these lenses for many years and never had any problems. A website that is easy to use and the order always comes th next day. Great product ! Great delivery time and very comfy to wear! I have been very pleased with my monthly Air Optix Aqua lenses as they are the most comfortable lenses that I have experienced to date, not only for long hours wear during the day, but even occasionally when worn overnight, and that''s something I have not been able to do before with any other lens supplier. Fantastic and speedy delivery and communication about my order! Good quality. Comfort and long last. Looks like my previous review was not posted, so I try again. I have been using this product for a while and would be a good lenses, but every box I bought had bad lense(s). the last package I ordered had 3, which makes it quiet expensive and not reliable. Good, less dryness than other contacts I''ve had. Comfortable in the eyes. Super lenses for people who wear them daily over extended periods!! I don''t have any problem wearing them! Really good product I use it for year. Extremely comfortable for the entire month. I used to use a similar one, but I found this amazing, much better then the previous one. Really comfortable. Had no problems with the lenses very comfortable and last the whole month. Comfortable to wear all day and an excellent price. Comfortable, can wear them all day without my eyes feeling dry or tired. I was a bit spectical on buying these lenses as I don''t normally use these ones but they seemed good. I made the right choice! I have just ordered another 3 pairs, they don''t dry out or anything and they last long. I have been using Air Optix Aqua for years and I am satisfied. Love them! Ordered and delivered within 24 hours! It''s a good product. I like monthly contact lenses, although some prefer daily. Compact, small enough to travel with. Perfect wear and so comfortable! Will be ordering again when mine come to an end. Lenses are fantastic and lso last the full month and more. Top quality brand at low prices. great product, would order again. Very Disappointed. Had nothing but eye infections and antibiotics this month. Complete nightmare!! Never again! Back to dailies for me. I switched to these from Dailies AquaComfort Plus and am glad I did... far more suited to longer term wear and stay comfortable for hours! Great product that works well for me. I struggled to get along with Air Aqua Optix, they were very flimsy and I found they didn''t suit me for all day use. However they can securely packaged and on time. I feel these contact lenses will suit an individual who doesn''t require them for a full days wear. I''ve tried other brands but these are the most comfortable to wear. Best contact lenses for my tired, dry eyes. Wouldn''t use any other. Really easy to order. Staff were extremely pleasant. Delivery was excellent and well packaged. Would definitely recommend this company as prices are better than others I checked online. Very comfortable to wear and easy to use. Really comfortable lenses. My optician changed me to these recently. Wished it had happened earlier. They are still comfortable after a full days wear. I change them at the end of the month, but they still look and feel good. This product is good. Feels painless, comfortable! Air optic lenses for me are by far the best, I have tried other makes, some are just too flimsy and I have found they don''t last the full month without staying comfortable and intact. Air optics are always very comfortable and durable. First time using Monthlies and this brand and so far really good and comfortable and value for money. really comfy. I've been always struggling with wearing contacts on my dry eyes, but this one is so far the best. no hassle. you barely can feel the contacts. this one is absolutely excellent. Been using these for 2 years, they are very well priced, extremely comfortable (I wear them all day long), and easy to find at most online retailers. Highly recommended. Really comfortable to wear. I wear them every day. Just the same as what you get from Specsavers! perfect! Have been using Air Optix for several years with no problems. Tried daily lenses but saw no advantage particularly considering the price difference. reasonable lenses, don''t dry the eyes too much. Excellent as always. I have been using these lenses for a long time now. The claim is that they let more oxygen through to the eyes - and while I can''t verify that claim I never feel pain when wearing the lenses for long hours or accidentally leaving them in overnight. Cheap, and useful. They are worth the price and are definently comfortable. only brand I have ever used for 5 years been great. Good, comfortable, hassle free lenses. Excellent quality lenses. I have dry eyes, & these lenses are the best for me. Good lenses and solutions which are cheaper than specsavers! Excellent product for daily use. Price from Feel Good Contact Lenses was far less (more than 50% cheaper) than from other suppliers. Delivery was only couple of days from date of order. Using it about 1 year and they are very good. Having worn contacts since I was 17 and am now 66 these are the most comfortable contacts I have ever worn I really do forget I have them in . No sore tired eyes at the end of day just a delight from morning to night. Great product used these for years with no problems. I had tried others from boots etc but found these to be the best by far. Good product, I use these regularly and would highly recommend. They are a reliable, long lasting product that haven''t given any trouble. Can''t get better lenses always comfortable and never dry out. Very comfortable to wear, no dry eyes. I tried quite a few contact lenses before but these Air Optix Aqua contacts are fab. I can wear them all day long without any problems. Brilliant lenses and brilliant service. Air Optix Aqua contact lenses I have been wearing for many years now, comfortable lenses and your eyes do not go dry. Having used various lenses resulting in ill fitting to uncomfortable, I used Air Optix Aqua for several months with no issues, great product. I''ve used these for years now and have had no problem with them. Lovely and very wearable. They don''t dry out and last as they should. Best lenses I have had to date. Best contact lense brand I have used, as long as you keep them clean and correctly stored of an evening you will barely realise you are wearing them - brilliant if you wear them for a long period of time in a day. Great service as always. No problems ever. Very happy, will use again. Great lenses, no problems and easy to use. Best lenses, I got three month supply for a bargain price. They feel comfortable and very good quality. All you need is your up to date prescription number from your optician. You can wear these continuously and sleep in them. You can''t feel them.These lenses are very expensive from any other retailer. Very comfortable and robust contact lenses, often last longer than 1 month, though I think it is recommended not to use them for over a month. My old lenses used to get dry more easily and occasionally fell out of my eyes at the end of the day - I have never had this problem with the Air Optix lenses. You need to learn at the beginning to insert the lenses with the correct side facing the eye, but with a bit of practice this is very easy. Great contact lenses very pleased with service. Great contacts - really breathable and can wear all day and they do not dry out. Easy ordering, great price, prompt delivery and very well packaged. I use those lenses for 7 years! 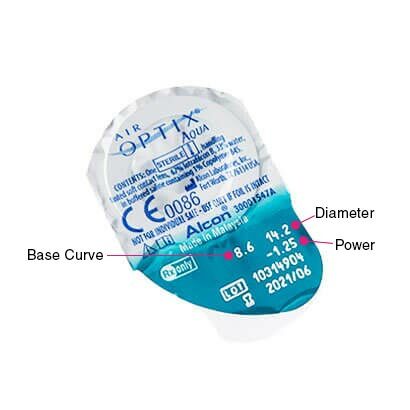 I''ve been using the Air Optix lenses for at least ten years and have always found them comfortable and easy to wear. I often wear them all day and well into the evening without any irritation. excellent for my current needs but do get dry after a long day. They don''t tend to turn inside out like some other brands which is good. I wore these lenses some years ago and thought they were great. It's nice to find that some thing don't change. they are still great!! I''ve used these for years wouldn''t try any others. Very comfortable fit. Prefect for me, I work in operating theatres where there is a high level of air exchange in order to remove ''bugs'' in the air. Air Optix Aqua are sufficiently wet to maintain comfortle eyes all shift. Anything less dries up to quickly. Competitive pricing and great delivery service.